During its entire history, the world has never changed as quickly as it is today. Customers expectations, as well as widely understood conditions of doing business, are changing continuously. In consequence, the problems which the organizations must face, as well as resources, methods, and tools, which can help solve them, are undergoing constant changes. Solving these problems requires appropriate knowledge and wise management of this strategic resource. Knowledge management (KM) is a concept of the future, which is worth devoting the time and scientific effort. However, while providing a thorough analysis of the literature on knowledge management it was discovered that the majority of publications do not discuss this concept in a comprehensive manner, but focus on specific aspects or issues related to knowledge management. 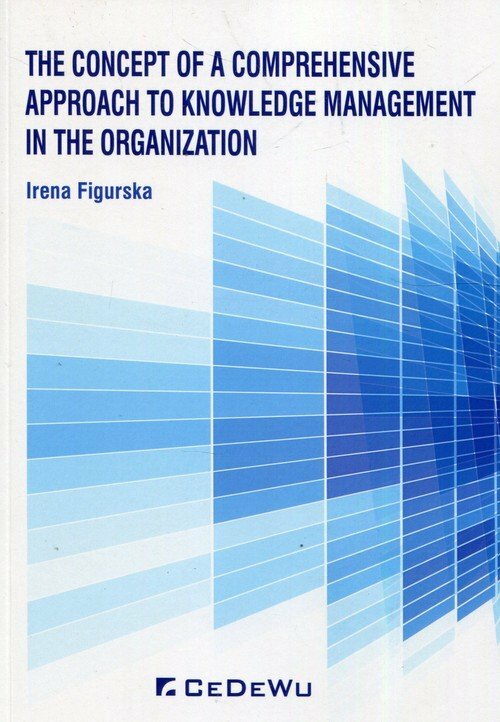 What is more, the authors scientific investigations conducted so far led to the conclusion, that managers know and apply some of the knowledge management tools and initiatives in their organizations, but their decisions and actions related to KM are rather intuitive than based on knowledge of knowledge management. It was therefore considered that there is a need to develop and present a comprehensive approach to knowledge management, which gives an answer not only to the question what? but also to questions: why? and: how? one should act in order to achieve success in knowledge management.